Just regular folks. : Sharp dresser. 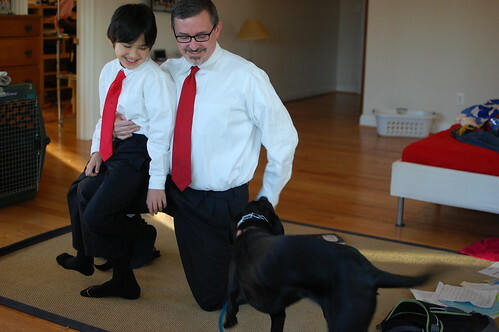 Vince and Jeremy sporting the same outfit to school and work today. Vince is performing in a holiday concert today and asked if Jeremy could match his outfit this morning! That get-up looks super familiar. Ha ha - yup, it got recycled! Maxi needs a red tie!